A college friend of Boston Marathon bomber Dzhokhar Tsarnaev might have prevented a university police officer's shooting death by helping authorities find Tsarnaev instead of helping him, the officer's family said in a court filing Wednesday. Massachusetts Institute of Technology Officer Sean Collier was killed in an encounter with Tsarnaev and his brother, Tamerlan Tsarnaev, in Cambridge hours after authorities publicly released photographs and videos of them as suspects in the April 2013 bombing, which killed three people and injured more than 260. Tamerlan later died after a shootout with police in Watertown, and Dzhokhar was found hiding in a covered boat docked in a backyard there. 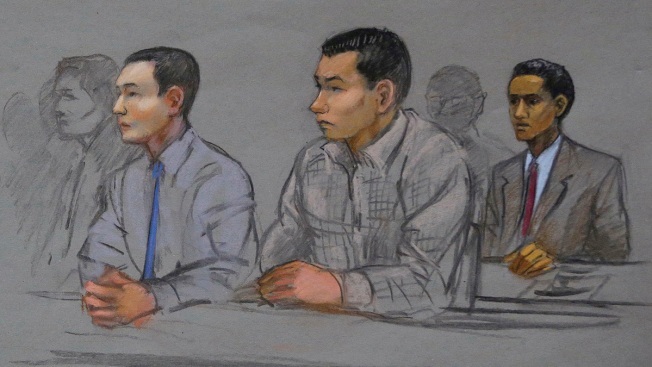 Federal prosecutors filed the statement by Collier's stepfather, Joseph W. Rogers, along with a recommendation for a seven-year sentence for Tsarnaev's friend Dias Kadyrbayev. That sentence is the maximum agreed to when Kadyrbayev pleaded guilty last year to impeding the bombing investigation. Kadyrbayev is being sentenced on June 2. A message seeking comment from his attorney wasn't immediately returned Wednesday. Prosecutors say there's no evidence Kadyrbayev knew about the plot to detonate two pressure cooker bombs loaded with shrapnel near the marathon's finish line. They say he recognized Dzhokhar Tsarnaev's photo when authorities released it and he removed Tsarnaev's laptop and backpack from his dorm room at the University of Massachusetts Dartmouth. "Had the defendant done the right thing, and called the police," Rogers said, "the Tsarnaev brothers' murderous rampage across Cambridge and Watertown may have been prevented." Tsarnaev's lawyers acknowledged his role in the deadly bombings, and he was convicted of many criminal charges. A jury last month sentenced him to death. Two more of his friends have been convicted of impeding the investigation. They are to be sentenced June 5.